Note: We seem to have misplaced a substantial number of amazing pictures we took during this visit, so our sincerest apologies. We will try to find them as soon as possible and post them. 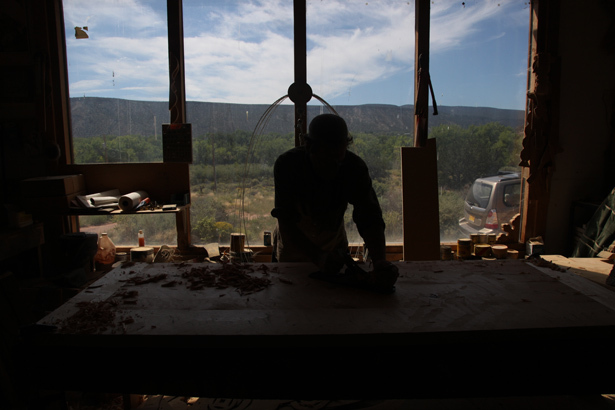 Bassam and I were getting ready to leave New Mexico for an eight hour drive to Arizona, but we took an incredibly worthwhile one hour detour to Abiquiu, New Mexico. 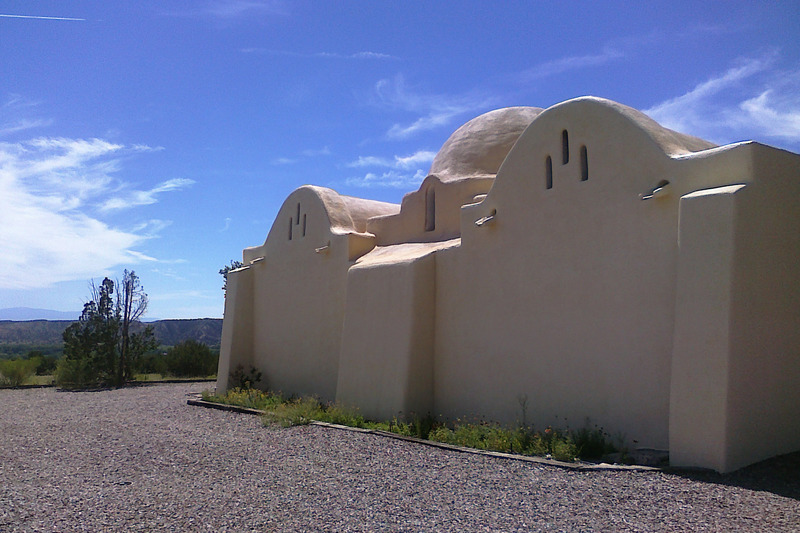 The small town is home to Dar al Islam, a divinely radiant mosque made from adobe mud that sits over a mile up in the mountains. 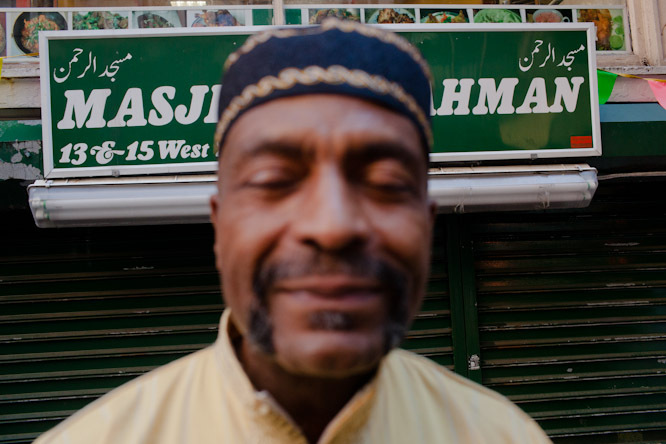 We spoke with Benyamin, a woodworker from Holland who lives nearby the mosque. He told us to meet him by his home and he’d take us there. To say Benyamin is good with his hands is putting it lightly. 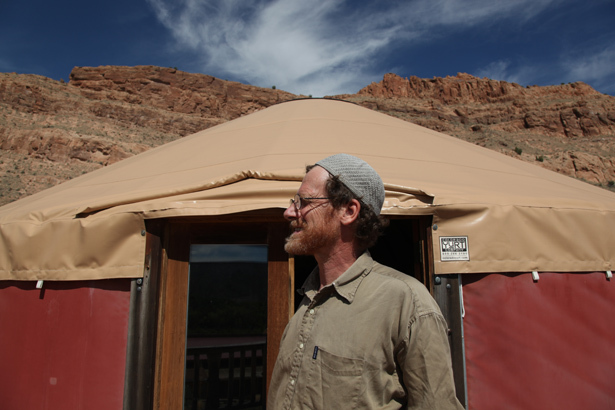 At the bottom of the mountains, he built a mosque that he and his neighbors regularly use for prayer. 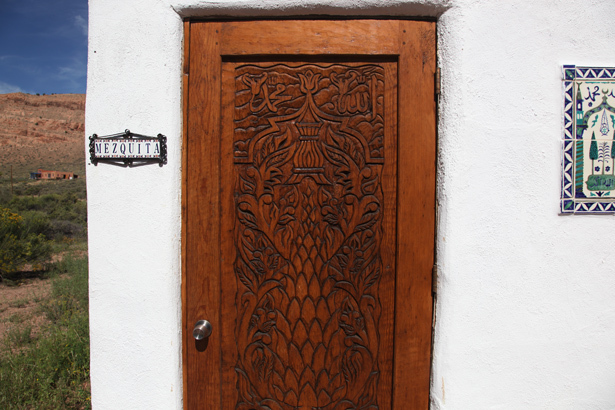 Benyamin carved the designs on the door as well. I’ve never seen anything like this in my entire life, this man is divinely gifted. May Allah continue blessing him for his talents. 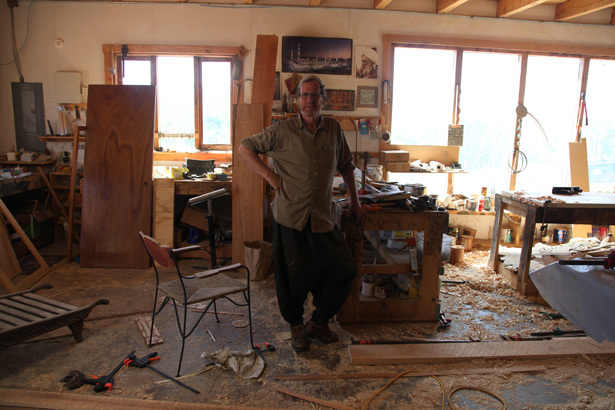 We found Benyamin inside a workshop shed where he was busy working on another door. He used to run a woodwork business for decades but has taken a break from doing it regularly because his health isn’t what it used to be. 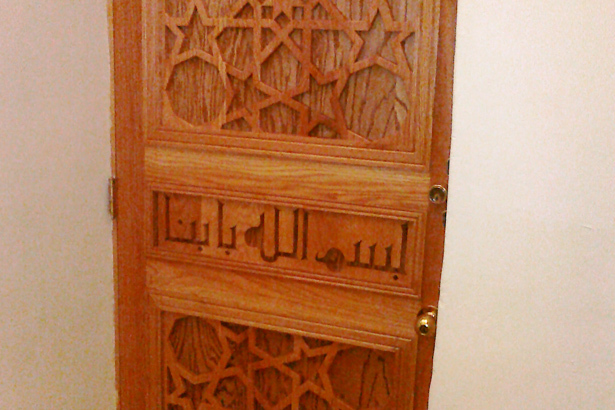 He told me it varies, but it only takes around a week and a half for him to make one of those intricately designed doors. Benyamin and his wife regularly have company stay with them in the mountains and the two created a guest house for people to stay over. Below is a yurt, a round traditionally Central Asian tent, that the couple uses to put on concerts and even hold weddings in. They said they love having people come over, so I definitely need to make plans to come back! Benyamin then took us up the mountain to Dar al Islam. It was built in the early 1980s at a time when there were around 30-40 families that frequented it daily. 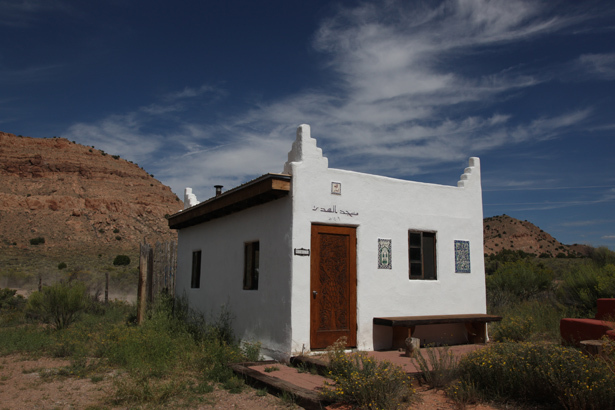 The mosque has a unique pueblo design and its foundation is made from adobe mud. Sadly, Dar al Islam is only used for special events like conferences and camps. I heard at least a dozen different reasons why it’s not being used regularly, but everyone I spoke to agrees they wish it was. 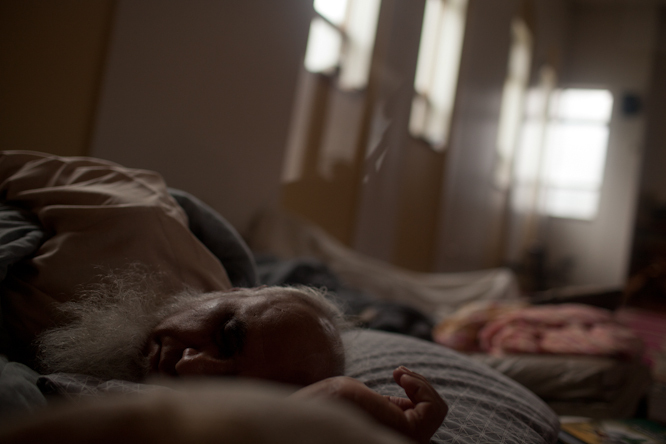 Abdurrauf, a Belgian man who is the caretaker of the mosque, said one of the primary reasons why it’s not being used is lack of funds to run it. Plus many of the board members of the place are getting old and they could use some young new blood to energize the place. I hope they do find people and funding soon, because this is no doubt one of the best Islamic treasures I have found in this country.